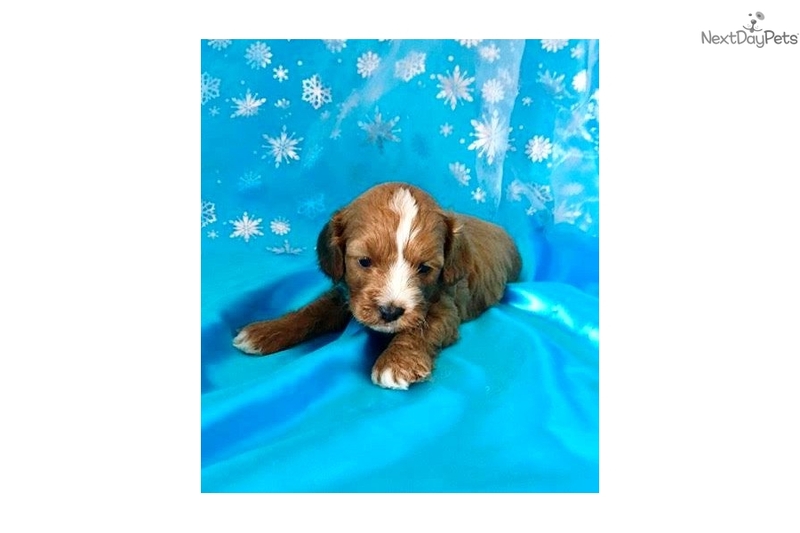 This Cavapoo nicknamed Copper sold and went to a new family. Hi there! 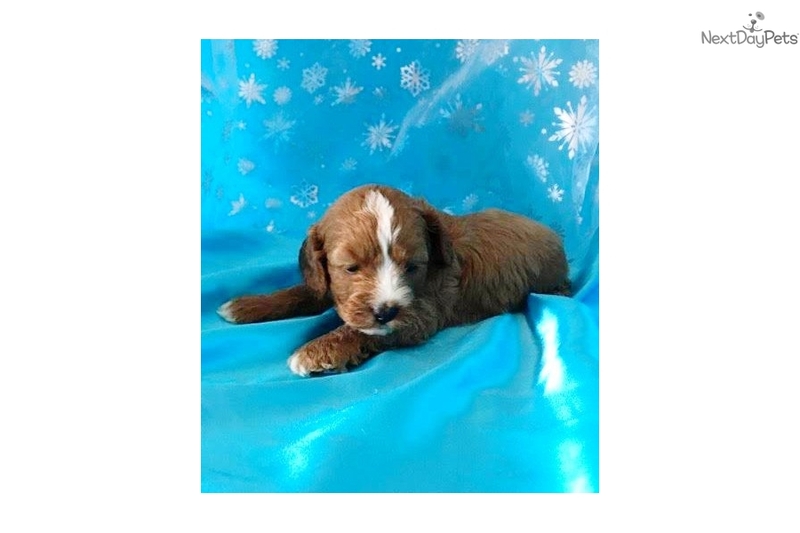 My name is Copper, and I am a ruby Cavapoo puppy with handsome white markings. 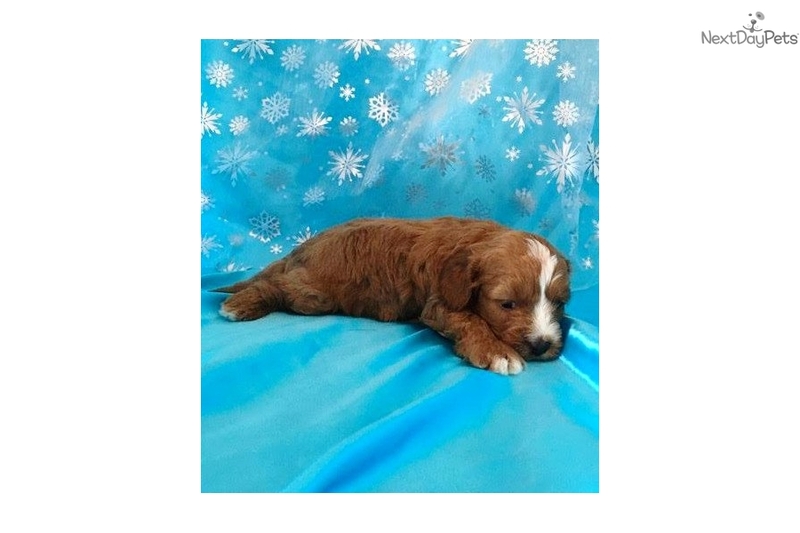 I am a cross with a Cavalier King Charles Spaniel and a Poodle. This means I am very intelligent, cuddly, and low-shedding too! 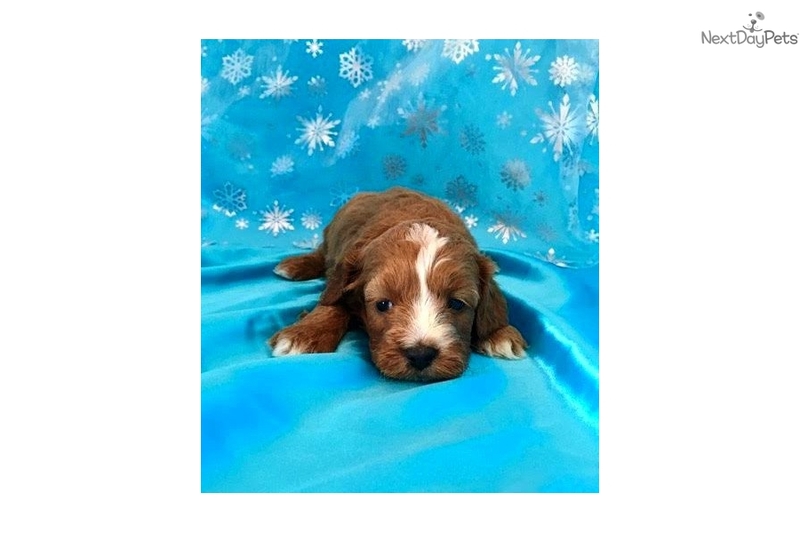 I should mature around 10-15 pounds, and would be great for a family with children who are ready to play with me! One day, I will be the perfect companion for someone who wants to take me on lots of adventures, as I will never want to be away from you! Have comfort knowing you will be dealing directly with a Family Breeder, who is licensed and inspected. I am current with my puppy vaccinations and worming’s. I come with a 10 Year Health Guarantee (ask about my daily vitamin program which keeps me happy and healthy) and I also come Vet Checked and Microchipped. I come with a Puppy Starter Kit: puppy bed, blanket, outfit, toy, collar, leash, food/water bowl and sample food. I am pre-spoiled and I love people and children. I promise to make a wonderful addition to your family! Ask about our $200 deposit and payment program, my birthday is 11/26/16 and my price is $1895. Contact us today 336-403-4584, or email info@happytailpups.com. 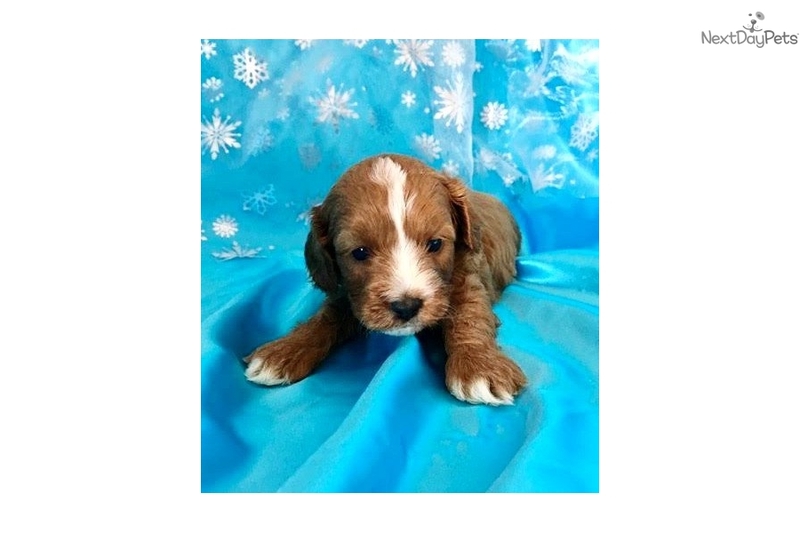 Our website is www.HappytailPuppies.com.